What Do I Do If I’m Locked Out of My House? It’s below zero outside, your bladder’s about to burst, or you’re just anxious to get back to your couch after a long day—and it turns out you’re locked out of the house. We’ve all been there. But what do you do next? Don’t panic—you’ve got options. We recommend trying the following things (in this order). Check other doors. You may have left another door to your home unlocked. Normally, that’s bad news—but if you’ve lost your keys, you might be pleasantly surprised to find a side door you forgot to lock earlier. Try side doors, back doors, sliding doors, and your garage. Contact others who might have a key. Does someone else have a key to the house? Ask your roommate, partner, landlord, or friend if they can stop by and let you in. Look for large windows low to the ground. Locking your front door is probably habit, but there’s a decent chance you didn’t check all your windows before you left the house. If there’s a large window you can safely climb through, it might be worth popping out the screen. Just make sure the window is low to the ground. Getting into your house sooner isn’t worth falling and breaking an arm or spraining an ankle. Call a locksmith. We get it—paying a locksmith isn’t a fun way to spend your money. But if you’ve tried the options above, it’s probably time to make the call, get into your house, and open a bottle of wine to recover from the stress. Wondering why this list doesn’t talk about wedging a credit card into your door frame, picking locks with bobby pins, or removing door knobs? Because tactics you see in movies don’t work on most modern locks. And because there’s a good chance you’ll damage your door or your lock in an attempt to break into your house. We know you don’t want to spend hard-earned cash on a locksmith, but if you’ve already tried other doors, low windows, looked for spare keys, and waited for help from friends or family, a locksmith is probably the simplest and most practical option available. You may have gotten locked out of your house this time, but it doesn’t have to happen again. There are plenty of things you can do to make sure you don’t get locked out in the future. We recommend trying one (or more) of the following strategies to make sure you always have access to your house when you need it. No, we’re not talking about hiding a spare key under a fake rock or in a potted plant; those are the first places a burglar would look. You can make it easy for you to access spare keys without making it easy for a burglar to do the same. Give a spare key to a trusted neighbor or friend who lives nearby. Install a lockbox outside your home so you can access your spare key but strangers can’t. 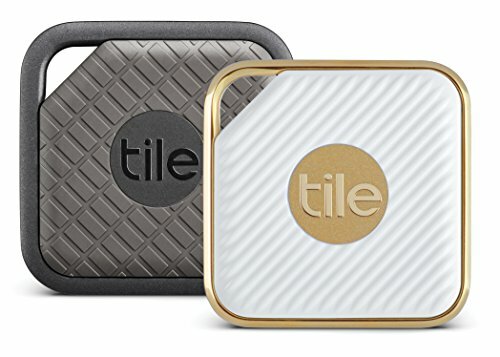 Tile’s stylish little squares make it easy to keep track of small things like keys, phones, and wallets. With a Tile attached to your keychain, you can use your phone app to ring the Tile or look it up on a map. Keyless door locks make it easier to prevent getting locked out, but they also come in handy if you want to give a code to a friend who is visiting or let someone in remotely with your smartphone. Some electronic door locks have just a keypad and a code, while others have higher-end features that can be controlled on a mobile device. Many home security systems integrate with third-party smart door locks or include their own. If you want to get a smart lock and a home security system that work together, you’ve got plenty of options. However, Vivint is king when it comes to combining home automation and home security, so if you love shiny new tech and home automation, it might be the company for you. How did you get back in? Tell us your stories in the comments below!